There are plenty of contenders vying for Rahm’s seat in March. Here’s our nonscientific prediction of who’s got the best shot to take it. Published Dec. 5, 2018, at 1:35 p.m.
E very week during the baseball season, ESPN publishes its power rankings of all 30 teams in the MLB. In Chicago, nearly half that many people are running for mayor, so we thought we’d do the same for them. Our fifth and final iteration of this list comes down to one fact: nobody knows what the hell is going to happen on Tuesday night. “Undecided” has a larger percentage of the electorate than any single candidate, and a lot of Chicagoans are still torn between three or even four candidates. As we figure it, six candidates have a chance to make the runoff: Gery Chico, Bill Daley, Lori Lightfoot, Susana Mendoza, Toni Preckwinkle, and Willie Wilson. It’s impossible to predict which two will get there, so we’re dividing the candidates into two categories: contenders and also-rans. Within those categories, the neck-and-neck order is based on how we think the candidates would fare in a runoff. Preckwinkle once looked like a shoo-in for the runoff, but she’s run such an awful campaign that no one should be surprised if she’s elbowed out on Tuesday. Just last week, one of Preckwinkle’s allies, state Rep. Rob Martwick, crashed a Lori Lightfoot press conference to berate her for criticizing his proposal to make the Cook County Assessor an appointive office. That made Preckwinkle look like a bully by proxy. 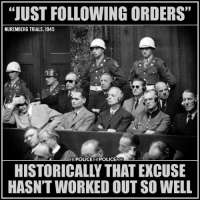 Then, one of Preckwinkle’s campaign aides posted an image of the Nuremburg Trials with the caption “just following orders" on Lightfoot’s Facebook page, criticizing Lightfoot for following her boss’s orders as a young lawyer in a case that resulted in a reprimand from a federal judge. Preckwinkle fired the aide. Despite that, plenty of voters seem to feel that Preckwinkle is the least of 14 evils, especially compared to Machine prince Bill Daley. Expect Preckwinkle to earn some “strategic votes” from progressives who really like Lori Lightfoot or Amara Enyia, but believe Preckwinkle would be the strongest opponent in a runoff against Daley. In that matchup, Preckwinkle could count on most of the black vote, some white progressives, and the majority of public employees. Daley would get white ethnic voters — Irish-, Italian-, Lithuanian-, and Polish-Americans in neighborhoods like Bridgeport, Beverly, and Mount Greenwood — as well as trade unionists (big overlap there). And those “socially liberal, fiscally conservative” voters on the lakefront would gnash their teeth trying to decide between a history-making black woman or a business friendly mayor who would continue pouring resources into the Loop. This is a matchup in which U.S. Rep. Chuy Garcia’s endorsement could be decisive, by delivering Latino votes to Preckwinkle. His opponents believe we need a third Mayor Daley as much as we needed a third Godfather movie. Daley has been avoiding mayoral forums and public appearances, hoping to cruise into the runoff on the strength of his family name and $8.7 million in campaign funds, nearly twice as much as any other candidate. When you’re one of 14, you can hide. When you’re one of two, you can’t. If Daley makes the runoff, he’s going to get hammered over the $2 million he took from Ken Griffin, Illinois’s richest man. He’ll also take heat for his own personal fortune as manager of a Swiss hedge fund, and for helping Bill Clinton pass the North American Free Trade agreement. Still, Daley would be a formidable runoff candidate. He’s got money, and he can get more from his business and political connections. He was chief of staff for President Barack Obama, who earned some bad blood from Toni Preckwinkle when he was her state senator, and who might be persuaded to at least say something nice about his former employee. The Daleys did support Obama’s Senate run, if only to get him out of Chicago so he couldn’t run for mayor against them. Daley is also the only white ethnic candidate among the contenders. To his own base in Bridgeport, he would add wealthy lakefront professionals who are going to miss Rahm Emanuel. If he runs against a Latino candidate, he’ll likely win the black vote; against a black candidate, the Latino vote. Lightfoot has the Big Mo, with endorsements from former Cook County Clerk David Orr, Ald. Scott Waguespack, Congresswoman Robin Kelly, and the Sun-Times. A recent NBC5 poll showed her in second place, with 14 percent — one point behind Daley, and two points ahead of Preckwinkle. Also, every North Side leftist on my social media feeds seems to be voting for her. Lightfoot has this to say to dithering progressives: I’m more electable than Preckwinkle. Lightfoot might actually be Preckwinkle’s toughest runoff opponent, because so many of her voters are prepared to switch to Preckwinkle in the second round. Obviously, if she makes it, they won’t. Another of Lightfoot’s advantages: she is the only viable candidate who has never done business with Ed Burke. Her biggest liability is that she’s raised less than $1 million, but if she makes the runoff, money will follow. Mendoza’s runoff chances depend on who she draws as an opponent. If she faces a black candidate, she’ll have to add to her coalition of Latino voters with white ethnic voters. Mendoza is the favorite of the trade unions, so that’s a natural coalition for her. If she draws Bill Daley, Mendoza will have to pursue the votes of white progressives, who may be turned off by her moderate stance on certain issues and the fact that she was married in the home of her mentor, Ed Burke. Mendoza and Preckwinkle seem to despise each other, so a runoff between those two would be a spectacle. Chico’s press secretary was a little miffed that we suggested his chief recommendation for the mayor’s office is protecting dibs. So she called to remind us of a more pertinent qualification: In his work with the mayor’s office, the Chicago Public Schools, and the park board, Chico has put together 20 budgets. Like Paul Vallas, Chico is a competent technocrat who used to run the Chicago Public Schools. Like Susana Mendoza, he’s a Latino who speaks fluent Spanish. He’ll need to take votes from both those rivals to make the runoff. If he gets there, his career as an Ed Burke protégé and as a millionaire City Hall lobbyist will be liabilities. Yes, Wilson has a chance to make the runoff. He has support in the black community, including the endorsement of Congressman Danny Davis. He also has support from Republicans, including Sean Morrison, chairman of the Cook County GOP. Those diametrically opposed constituencies could get Wilson to 15% of the vote. But can Wilson win a runoff? Hell no. Wilson voted for Donald Trump and Bruce Rauner. In Chicago, those facts alone would end his candidacy. This city hasn’t elected a Republican mayor since 1927. The man with the broom is going to get swept away on Tuesday. Will he land in one of his former residences — Haiti, New Orleans, Bridgeport, Philadelphia — or stay here in Chicago for his next chapter? On Sunday, Enyia held a rally at the Clarendon Park field house in Uptown, scored by two DJs and pre-recorded Nigerian Afropop. Combine that with her endorsements from Chance the Rapper and Kanye West, and she had the best soundtrack in this campaign. Unfortunately, Chance did not show up as advertised at Enyia’s February 11 “Party to the Polls” event in Daley Plaza, to encourage early voting. Marred by questions about Enyia’s resume and a lawsuit filed for unpaid wages by an ex-spokesperson, her campaign has lost some steam in its final weeks. Joyce has now raised $1.7 million from his wife for this campaign. If he doesn’t win this thing, he’s never going out on Friday night again. In all likelihood, McCarthy will be moving back to the Bronx on Wednesday. After all, New York City has a mayoral election in 2021. The bad penny of Chicago politics doesn’t have a nickel’s worth of hope on Tuesday. Ford’s candidacy has been a big pain for the Mayoral Power Rankings. He’s so earnest we can’t think of anything snarky to say about him, but lacks the splashiness and backing of a candidate like Enyia. Kozlar is only running for mayor because he can’t get elected 11th Ward alderman against Old Man Daley’s grandson, Patrick Daley Thompson. That’s like trying out for the Cubs after getting cut by the Gary SouthShore RailCats. The only reason Sales-Griffin is even in this race is that Willie Wilson dropped his petition challenge. Wilson probably figured Sales-Griffin is such a hopeless long shot it wasn’t worth the money to keep him off the ballot.